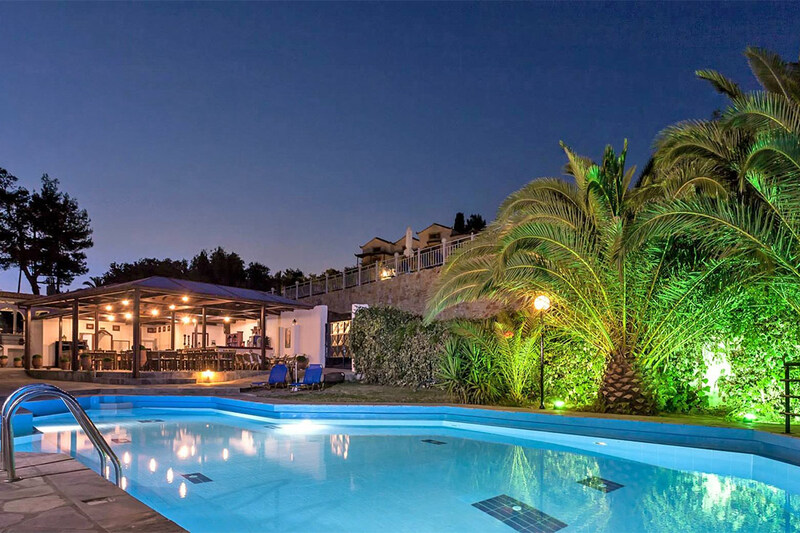 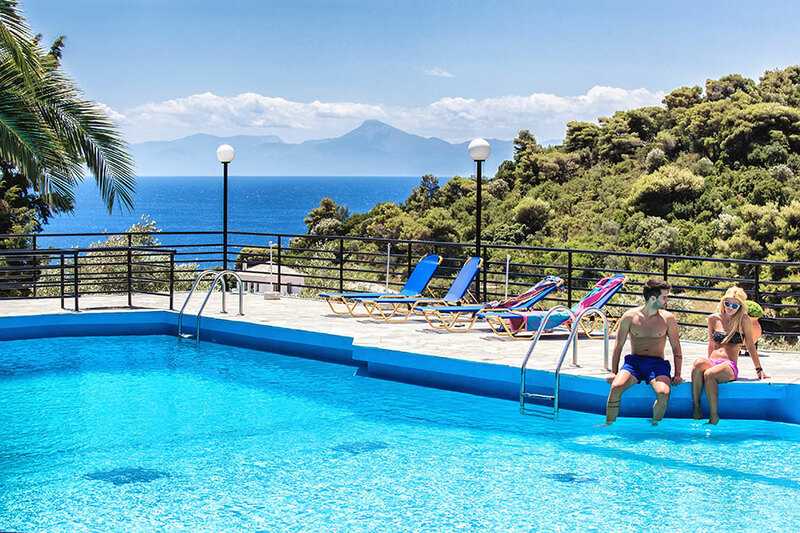 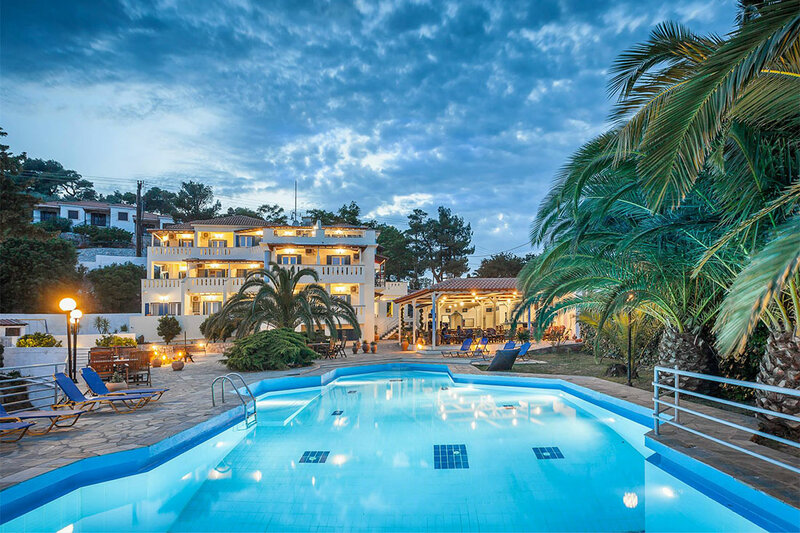 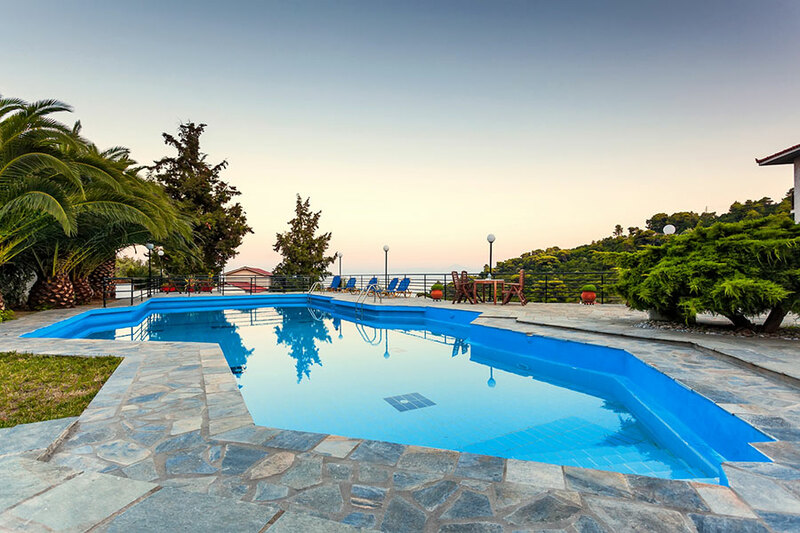 The inviting swimming pool is the perfect place to soak in the water while absorbing the breathtaking views over Stafylos bay to the opposite island of Evia. 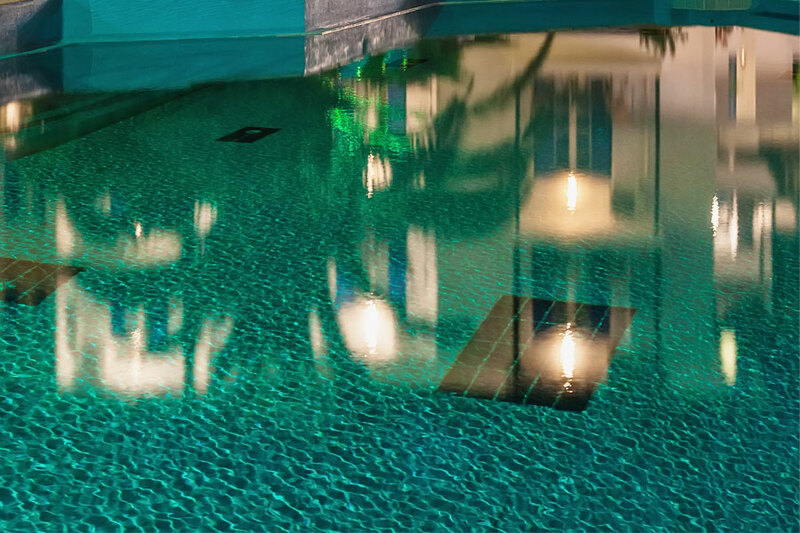 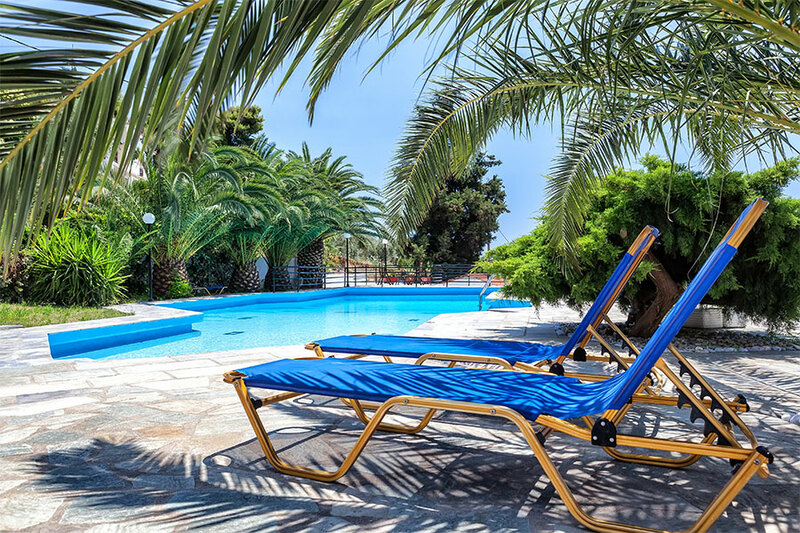 Surrounded by gardens and loans, and large sunbathing patios, the pool has a good size, with depth from 0.8m – 3.0m, while enough sun loungers, parasols and garden furniture are spread around at the guests’ disposal. 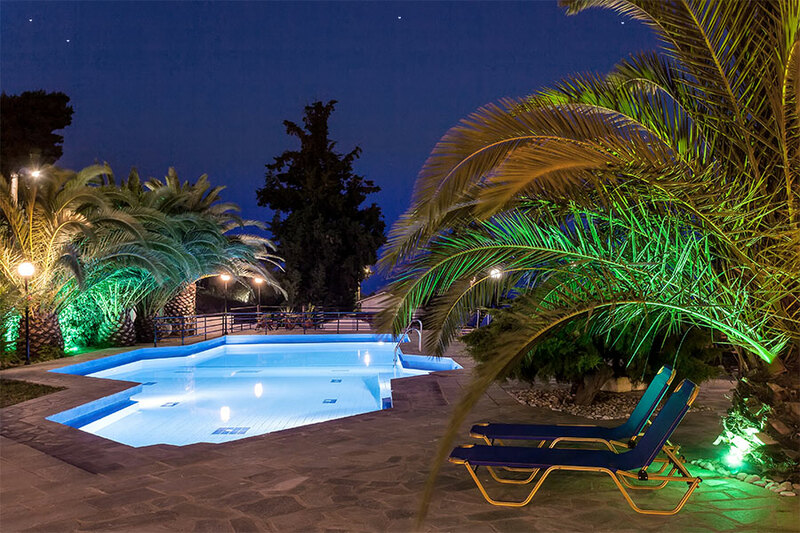 A relaxing, romantic place for the warm summer nights, sipping on mouth-watering cocktails from the outdoor poolside café bar, and marveling the fishing boats passing by, as well as the twinkling lights of the stars.